My son is looking forward to playing this - a challenging piece I'm sure but looks good. subjectively,i thinks better than haydn concerto. A fantastic trumpet concerto, beautiful when played well, and enjoyable for me to attempt badly! I\'m just so impressed someone put this up here for free. Three cheers for Joel Emyard! 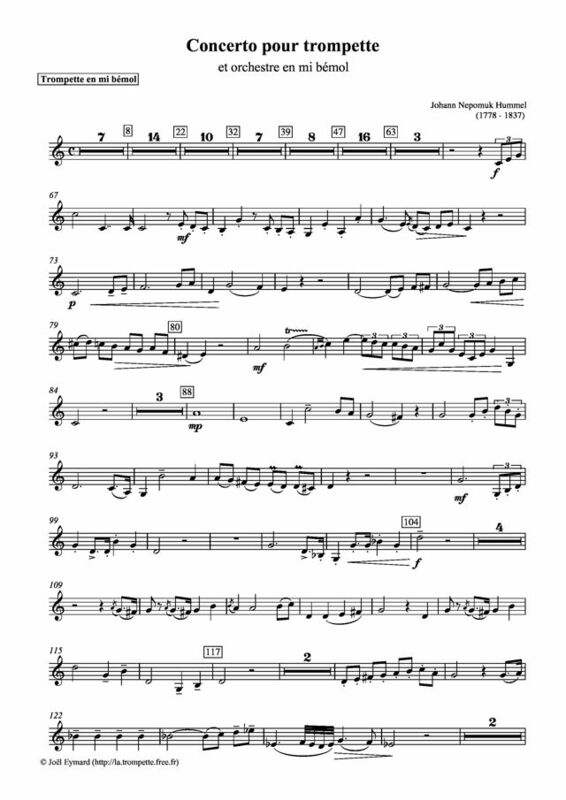 Hummel's Trumpet Concerto is a wonderful piece of Trumpet and Classical Music literature, especially the Andante in which I find particular favor in. Wonderful piece of trumpet literature, especially the Andante, which is my favorite.